This extremely rare collection of original Bernard Lansky artworks has not been seen by the public since they were originally drawn. 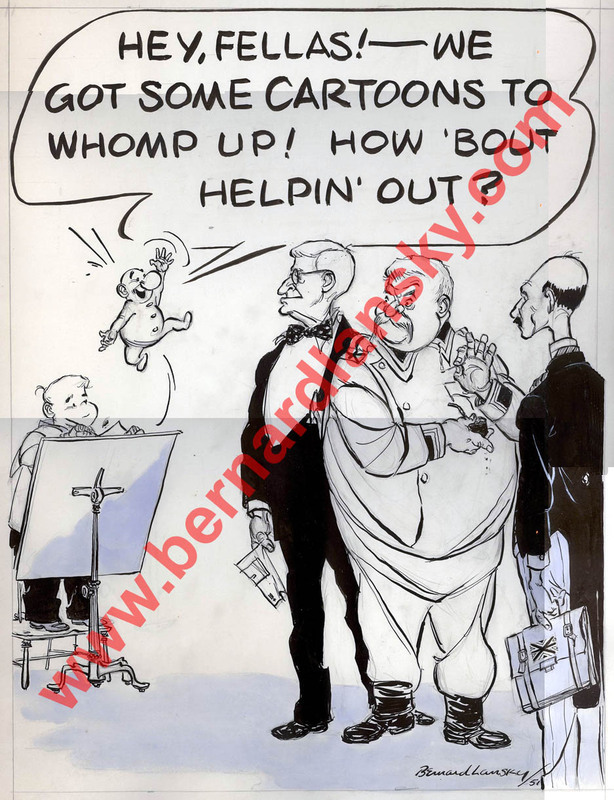 Many of these artworks were immediately stashed away soon after they were created, only to be rediscovered decades later during an exhaustive cataloging of a private collection that contains more than 60 years worth of original Bernard Lansky cartoons. 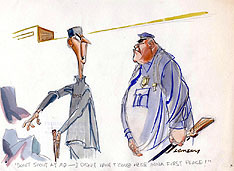 During this time in Bernard Lansky's career he worked as a freelance illustrator in New York City. His work was published in a host of fine newspapers as well as national magazines (SATURDAY EVENING POST, LOOK, COLLIERS). We recently discovered this signed and dated (1951) 12" x 24" black and white brush and ink poster featuring political figures of the time. To our best knowledge, this poster has never before been publicly displayed! Featured in this gallery are very early works dating from the late 1940's to the mid 1950's. Few are dated. Some were never intended for public viewing. All gallery images are unique glimpses into the evolving mind of a young and growing artistic talent. Please take a moment to view and enjoy these works. If you have any questions or would simply like to comment on the works available for view, please feel free to contact us. During our cataloging of known works by Bernard Lansky, we uncovered a treasure of never-before-seen sketches. 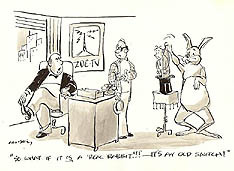 In the years prior to his first syndicated cartoon panel Seventeen®, Bernard Lansky spent a great deal of time working on technique and style in New York City. He moved to New York from San Diego because, "...that's where the jobs were." 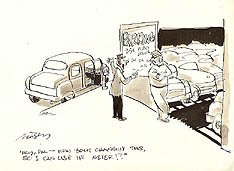 During these years, Mr. Lansky made a living by selling gag cartoons to magazines and newspapers. His every day observations of people and places became subjects of practice for him. 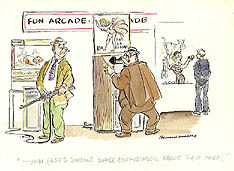 He also worked for Al Capp, creator of Lil' Abner, and developed life long friendships with many industry professionals. 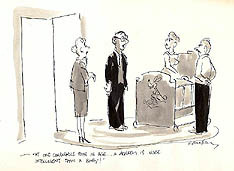 The images we make available today within the Random Acts of Artistry section of our 1948-1955 period gallery are representative of a deeper look into the spontaneous talent of a genius cartoonist. 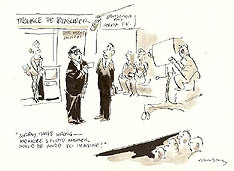 These wonderful color and black & white, pencil and ink images are physical representations of a cartoonist's daydreams. And, they are made available here for public viewing for the very first time! Click on an image and a larger version will launch in a new browser window.